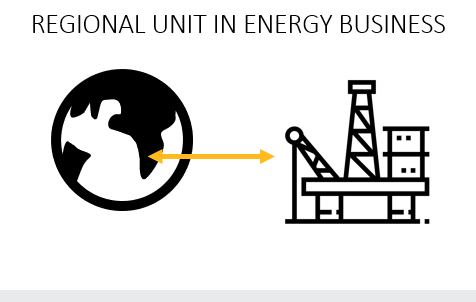 As part of a company-wide modernization, a regional unit – approximately 800 employees – of a leading global energy business needed to improve their setup for sharing lessons and best practices. They suspected they had real issues with collaboration and knowledge sharing – particularly across functions and locations. They chose Innovisor as partner to make sure they got thorough insight into both the formal and the informal relationships in the organization. 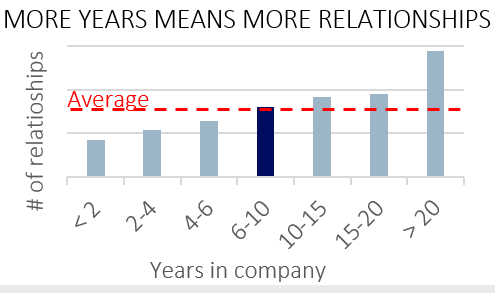 Employees with more than 10 years in the company did not connect to coworkers with less than 10 years. 24 future mentors were identified based on their strong network position as well as their high tenure of minimum 10 years in the company. 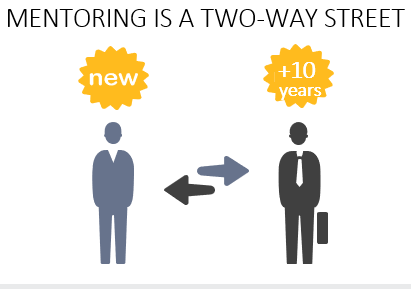 Make reverse mentoring an integral part of the mentorship program – the learning process is a two-way street.